This Privacy Notice describes Realestatedesigners.com"s collection, use, and disclosure of the information You provide to Us through Your use of the Site or Service, as well as the rights You have with respect to Your Personal Data. For any questions regarding this Privacy Notice please contact Us at support@CONTRIB.com. > We will collect Personal Data that You voluntarily provide us, for example, when You register for, or interact with other users through the Site or Service. We may also collect Personal Data when You sign up for marketing emails, events, or other opportunities through Realestatedesigners.com. Personal Data may contain Your name, email, contact information, as well as job titles, or other information You provide to Realestatedesigners.com. We may share Your Personal Data with Our channel partners to fulfill obligations and requests, to deliver support, and to provide users and Our customer"s users with information about Realestatedesigners.com. Realestatedesigners.com does not control how a business partner may use Your Personal Data. Our business partners are responsible for managing the use of Personal Data collected in these circumstances. We may share Your Personal Data when We believe disclosure is necessary or required by law, regulation, to protect users, the integrity of the Site or Service and to defend or exercise Our legal rights. We may also disclose Your Personal Data when it may be necessary for other legitimate purposes as reasonably determined by Realestatedesigners.com. Information, including information collected in the European Economic Area ("EEA") may be transferred, stored and processed by Us and Our services providers in the United States and other countries whose data protection laws may be different than the laws of Your country. We will protect Your Personal Data in accordance with this Privacy Notice wherever it is processed and take appropriate steps to protect the information in accordance with applicable laws. These steps include obligations to both Realestatedesigners.com and You and available on Realestatedesigners.com. 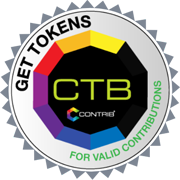 You may also request an executable version of Realestatedesigners.com"s Data Processing Agreement by contacting support@CONTRIB.com. Realestatedesigners.com maintains (and requires its subcontractors and service providers to maintain) appropriate organizational and technical measures designed to protect the security and confidentiality of any information We process. However, no organizational or technical measures are 100% secure so You should take care when disclosing information online and act reasonably to protect Yourself online. You may modify the information You have provided to Realestatedesigners.com at any time through Your Realestatedesigners.com profile. You can also opt-out of receiving marketing communications, deactivate, or delete Your account at any time. > Right to object to processing: You may have the right to request that Realestatedesigners.com stop processing Your Personal Data and/or to stop sending You marketing communications. Realestatedesigners.com will review and update this Privacy Notice in response to changing legal, technical and business developments. Please review this Privacy Notice frequently to understand how Realestatedesigners.com is protecting Your Personal Data. We do not intentionally gather Personal Data from visitors who are under the age of 13. If a child under 13 submits Personal Data to Realestatedesigners.com and We learn that the Personal Data is the information of a child under 13, We will attempt to delete the information as soon as possible. If You believe that We might have any Personal Data from a child under 13, please contact Us at support@CONTRIB.com immediately. You may use Our address book and contacts importer to upload Your contacts from other services into Realestatedesigners.com. When You import Your contacts, We may indefinitely store the contact information in Our database, including Your contacts' names, e-mails, phone numbers, locations, and relationships to You, subject to applicable law. We do not store any passwords You provide as part of the contact import process. After We import Your contacts, We will use this information to help Us establish networks of contacts, document relationships, facilitate referrals, and improve Our Site and Service. We may also use this information to show You and other users that You may know each other or have shared contacts. We rely upon You to obtain whatever consents from the relevant third parties that may be required by law to allow Us to access and upload the third parties" names, e-mail addresses, and other contact information. You or such a third party may contact Us at support@CONTRIB.com to request the removal of this information from Our database. In general, Personal Data You submit to Us is used either to respond to requests that You make, or to aid Us in serving You better. We use Your Personal Data in the following ways: facilitate the creation of and completion of Your profile for use with the Site and Service; identify You as a User in Our system; provide improved administration of the Site and Service; provide the Site and Service; improve the quality of experience when You interact with the Site and Service; send You a welcome e-mail to verify ownership of the e-mail address provided when Your Account was created; send You administrative e-mail notifications, such as information about pending job offers, security or support and maintenance advisories; respond to Your inquiries related to employment opportunities or other requests; make telephone calls to You, from time to time, as a part of secondary fraud protection or to solicit Your feedback; send You calendar invitations; and send newsletters, surveys, offers, and other promotional materials related to the Site or Service and for other marketing purposes of Realestatedesigners.com. We may share Your Personal Data with third party service providers to: provide You with the Service; to conduct quality assurance testing; to facilitate creation of Accounts; to provide technical support; and/or to provide other services to Realestatedesigners.com. These third party service providers are required not to use Your Personal Data other than to provide the services requested by Realestatedesigners.com. Realestatedesigners.com is committed to protecting the security of Your Personal Data. We use a variety of industry-standard security technologies and procedures to help protect Your Personal Data from unauthorized access, use, or disclosure. We also require You to enter a password to access Your Account information. Please do not disclose Your Account password to unauthorized people. No method of transmission over the Internet, or method of electronic storage, is 100% secure, however. Therefore, while Realestatedesigners.com uses reasonable efforts to Your Personal Data, Realestatedesigners.com cannot guarantee its absolute security.